Note, however, that this is only a pdf file, so it doesn’t really offer all the advantages of a proper e-book in mobi (Kindle) or e-pub format. So so I still recommend the printed version! History and the State in Nineteenth-Century Japan. Basingstoke and London, Macmillan, 1998. English version of Eine Vergangenheit für die Japanische Nation: not a straight translation though, I pruned it and updated some parts. 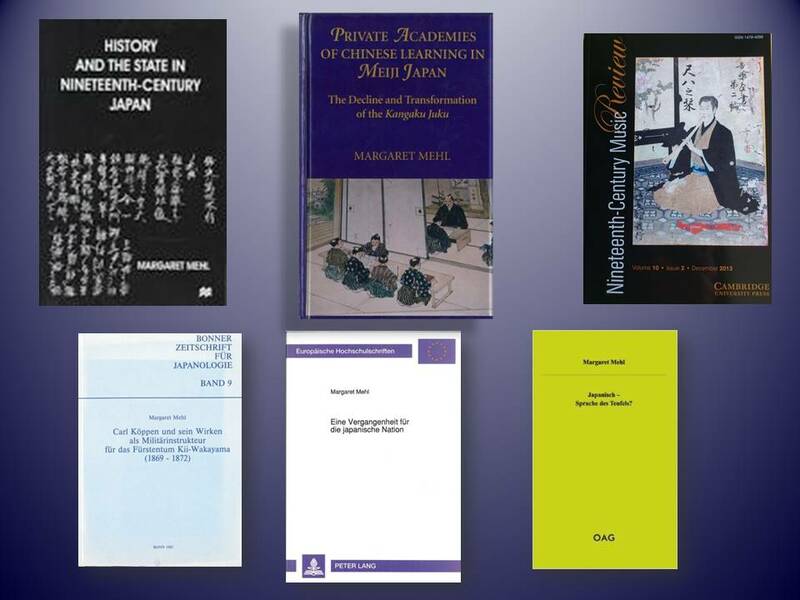 NEW: The rights for History and the State in Nineteenth-Century Japan have reverted to the author, and I am currently preparing a paperback edition, which will be published later this year. Japanisch – Sprache des Teufels? Munich: iudicium (OAG Taschenbuch Nr. 88), 2008. Eine Vergangenheit für die Japanische Nation. Die Entstehung des historischen Forschungsinstituts Tôkyô daigaku Shiryô hensanjo (1869-1895). Frankfurt a.M.: Verlag Peter Lang 1992. I tore apart a printed copy and scanned it myself, so the quality is so-so, but, hey, it’s free! Carl Köppen und sein Wirken als Militärinstrukteur für das Fürstentum Kii-Wakayama (1869-1872) (M.A. thesis), Bonn (Bonner Zeitschrift für Japanologie), September 1991 (1987). Thanks to the Bonner Zeitschrift für Japanlologie, I can now offer this as a freebie. As with the previous item, I vandalized a printed copy to scan it and the quality is mixed, but, hey, it’s free! Guest editor for Japan issue, Nineteenth-Century Music Review 10, no. 2 (2013). “Japan’s Early Twentieth-Century Violin Boom”, Nineteenth-Century Music Review, 7/1, 2010: 21-43. “A Man’s Job? The Kôda Sisters, Violin Playing and Gender Stereotypes in the Introduction of Western Music in Japan”, Women’s History Review, 21:1 (February 2012): 101-120. “The European model and the archive in Japan: Inspiration or legitimation?” History of the Human Sciences, 26.4 (2013): 107-127. “Introduction: Western Music in Japan: A Success Story?” Nineteenth-Century Music Review 10.2 (2013): 211-22.